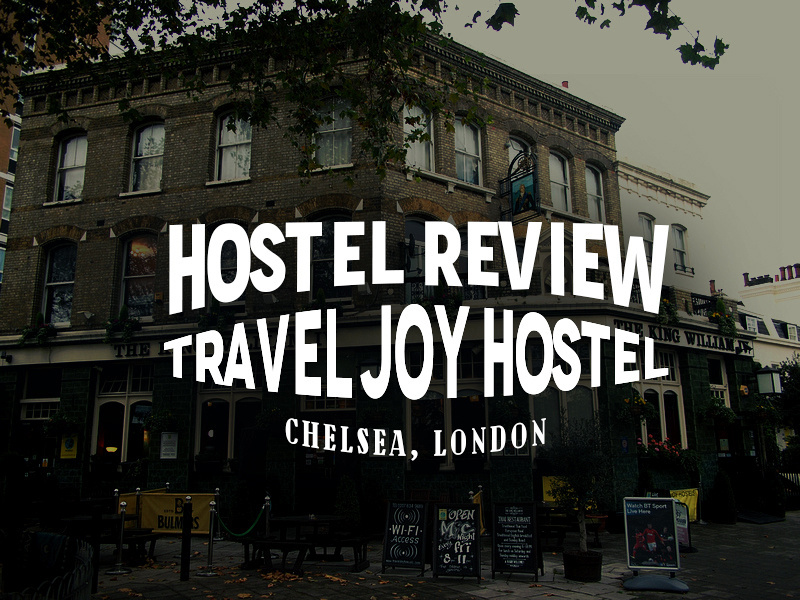 I stayed at the Travel Joy Hostel Chelsea in London, booked via Hotelscombined. I booked this hotel for its location which turned out to be a winning booking. Usually when I am booking a place in London I am struck down with too many choices and find it hard to pick a place. In this case though I needed to book a place near Victoria Station so I could make a speedy getaway to Gatwick airport in the morning. There were only a few choices in the Victoria area and this seemed like the best of the lot. I’ve stayed in some terrible hostels in London, some of which have almost put me off hostelling altogether, so it was a great to have my faith restored in London hostels by staying here. 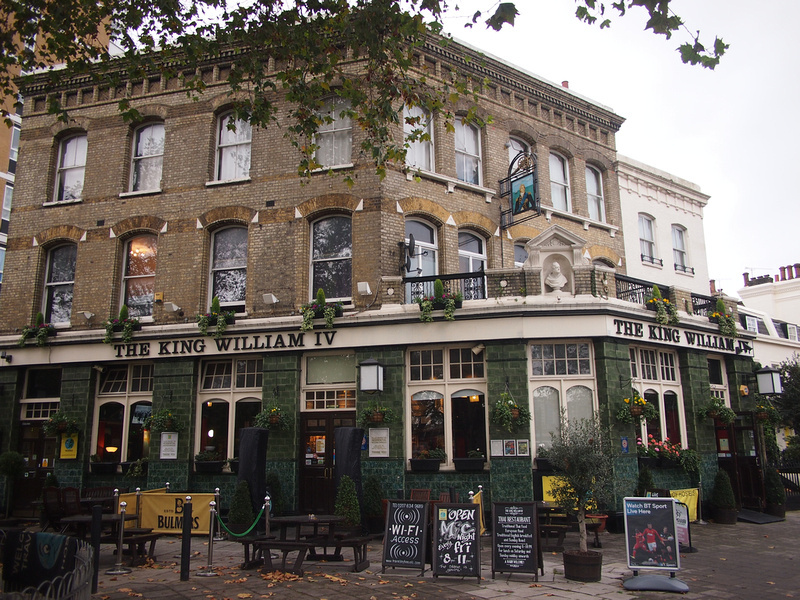 The Travel Joy Hostel Chelsea is in an old pub in Pimlico (The King William IV). 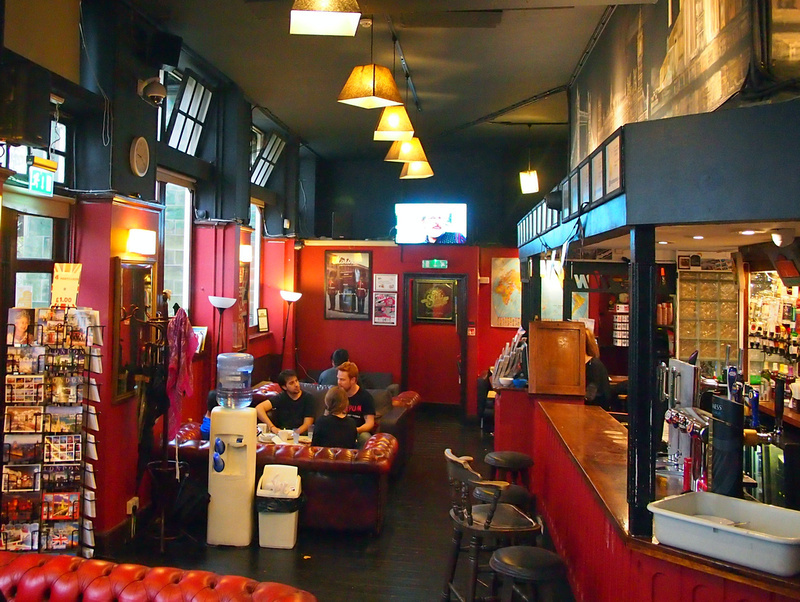 The bar functions as the hostel reception and it still functions as a local watering hotel with non-residents coming in to drink. Hanging out in the lounge though you still feel like you are in a hostel. 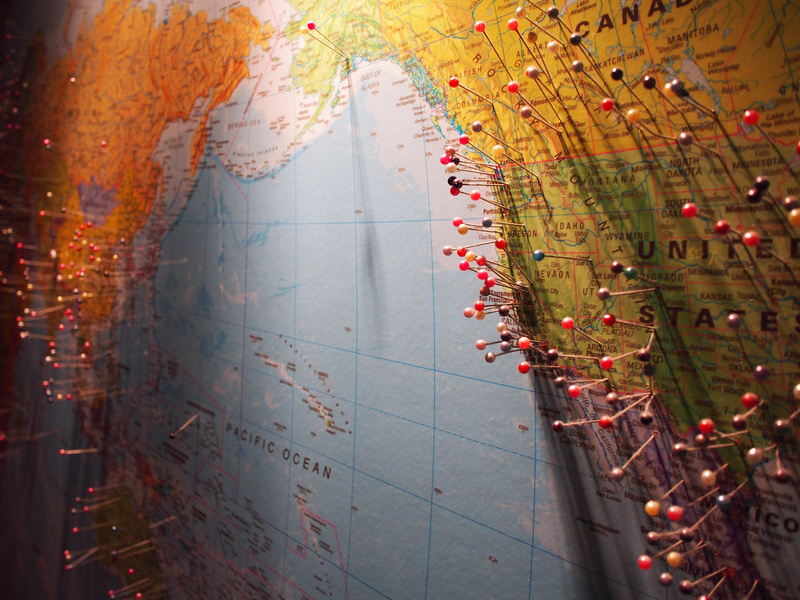 And every good hostel has a travel map with pins in it. The hostel is by the Thames and looks out to the Battersea Power Station, which you can see from the front window. 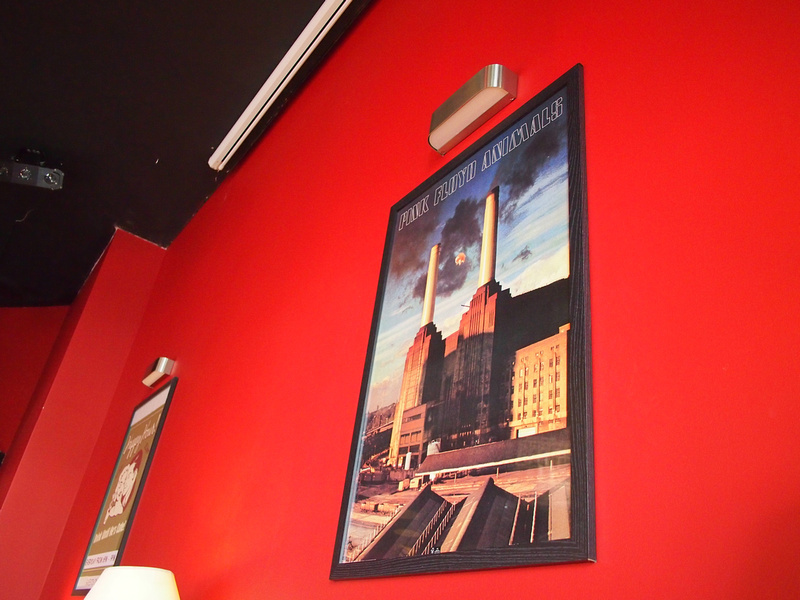 I like that the hostel pays homage to the Pink Floyd album, Animals , which features the station on its cover (with floating pig). I stayed in one of the six bed dorms. The room was a little tight, like being in a submarine, but it was clean and tidy and the attached bathroom was clean as well. 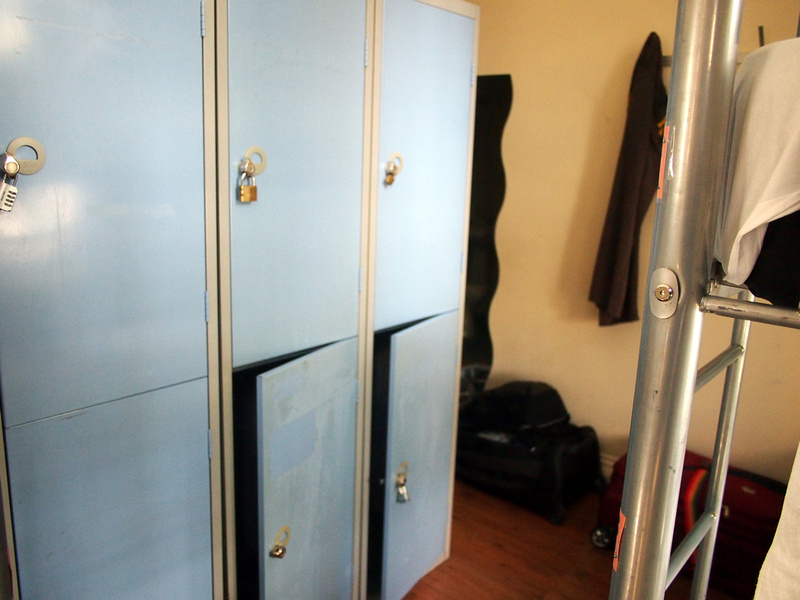 The dorm had big lockers for each bed. 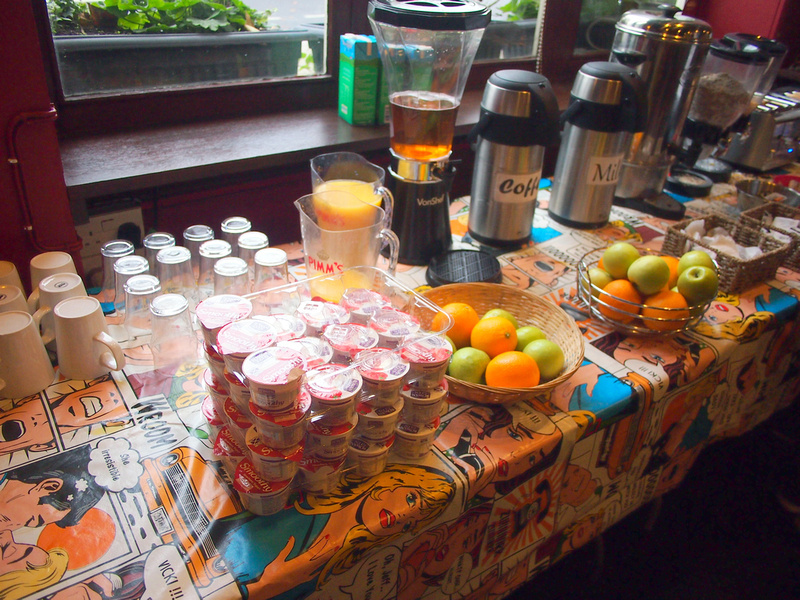 The hostel provides a generous breakfast buffet, included in the price. Choices include cereal, bread, yogurt, and there are also pancakes available if you ask. 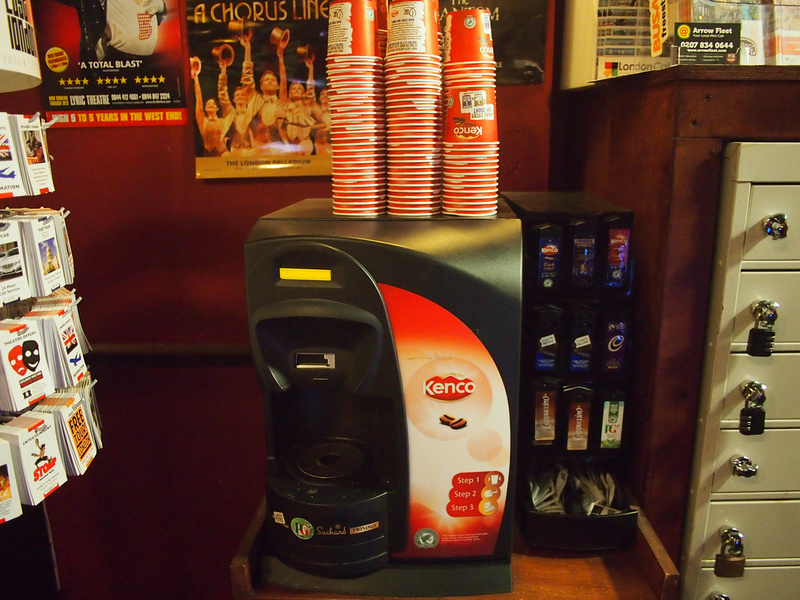 There is a free tea and coffee machine available all day, and you can get free soft drinks at the bar. The hostel is near Pimlico Station on the Victoria line and there is a bus stop right outside the hostel. I ended up walking to Victoria station, which is one stop from Pimlico, as it is a nice area to walk around. In all a great hostel and one I would go back to. 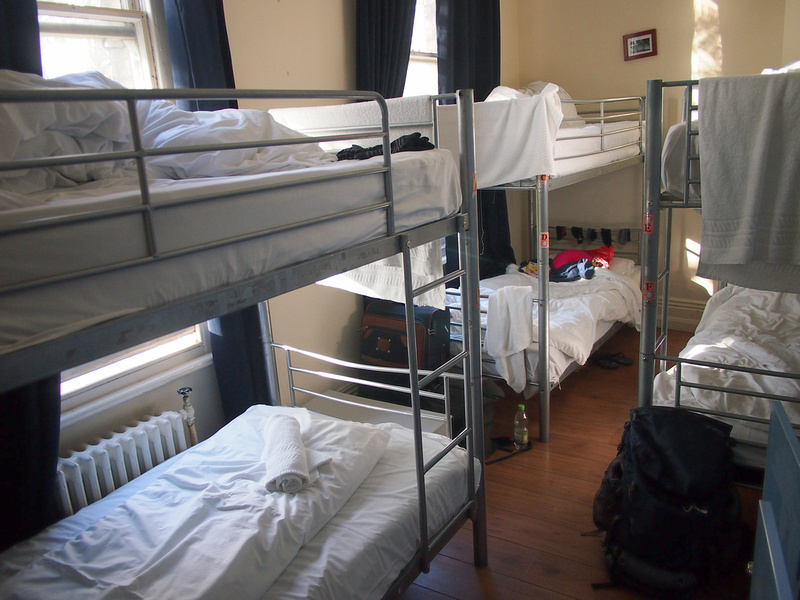 You can search for more hostels and hotels in London here.